One of my favourite bookstores in the world can be found in Sumner, Washington. Called a Good Book Café, the folks at this bookstore don’t mess around with their love of all things Kendra Kandlestar. In particular, they are fans of Oki. How much? Well, popular staffer Paige Mitchell even had her arm tattooed with that little eeker, something which was featured in a recent article about the book store. You can see a picture of Paige’s tattoo, along with one of their customer’s hand-made Oki, here! You can also read the whole article here. Of course, if you’re ever in Sumner (it’s just South of Seattle) be sure to check out this delightful store. You’ll lose yourself in the aisles (but don’t worry—Paige will find you). 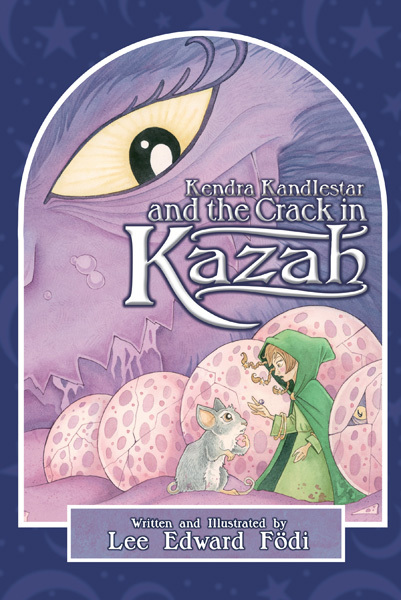 I’m not sure if you can consider these absolute finals (after all, there’s plenty of time to make changes before the October release date), but here is the completed cover for the new book, Kendra Kandlestar and the Crack in Kazah. Here’s a mock up of the back cover as well. I hope you like it! 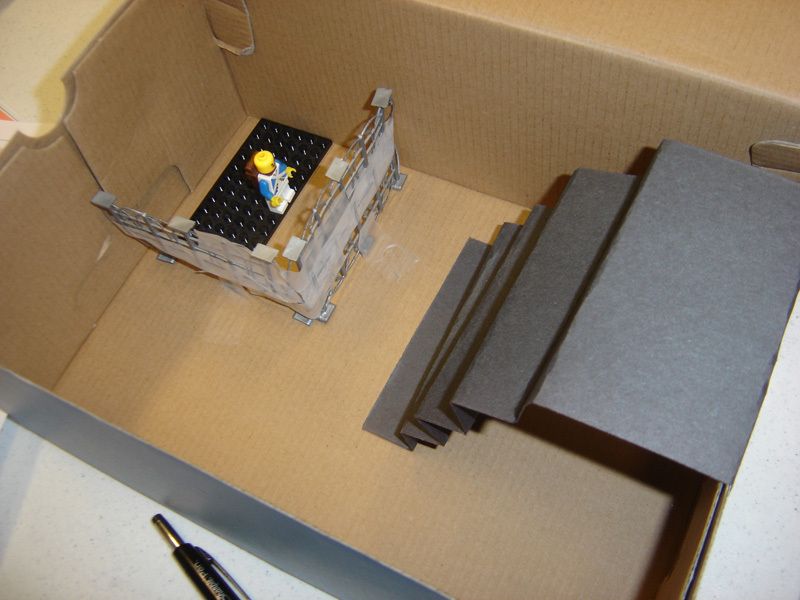 A few weeks ago, I built a diorama of the vault beneath the Elder Stone from The Box of Whispers (you can see the photo in that post). 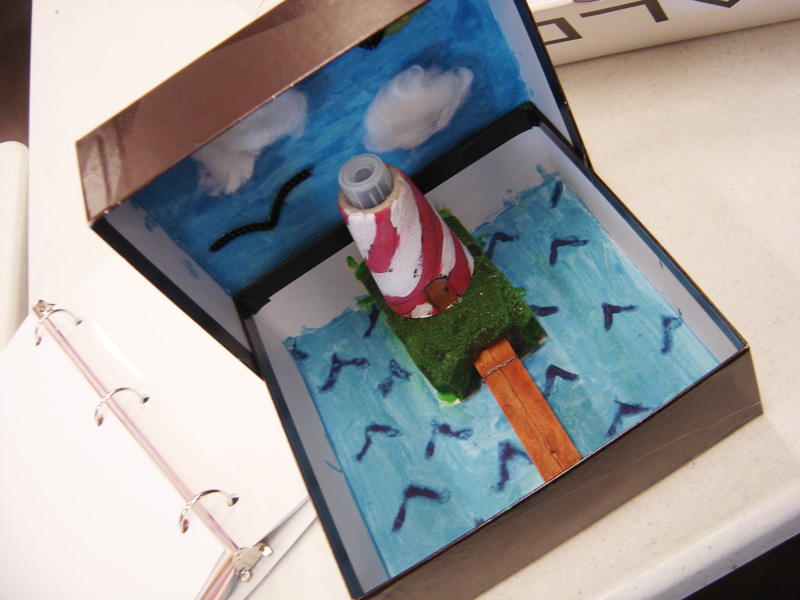 It was all with the aim to get my students inspired to construct their own dioramas. We’ve been working on them for a few weeks, so I thought I would show some of their (fantastic) works in progress . . . 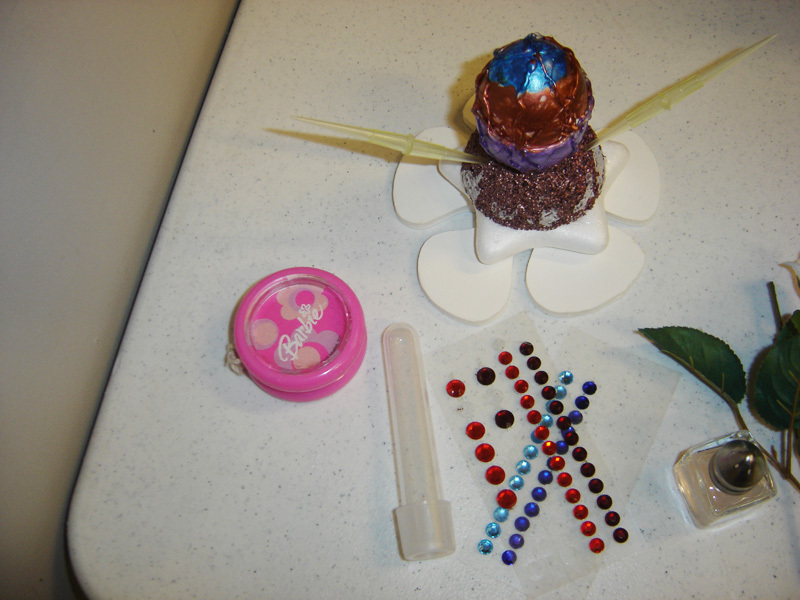 This is the centerpiece for Esther’s diorama. 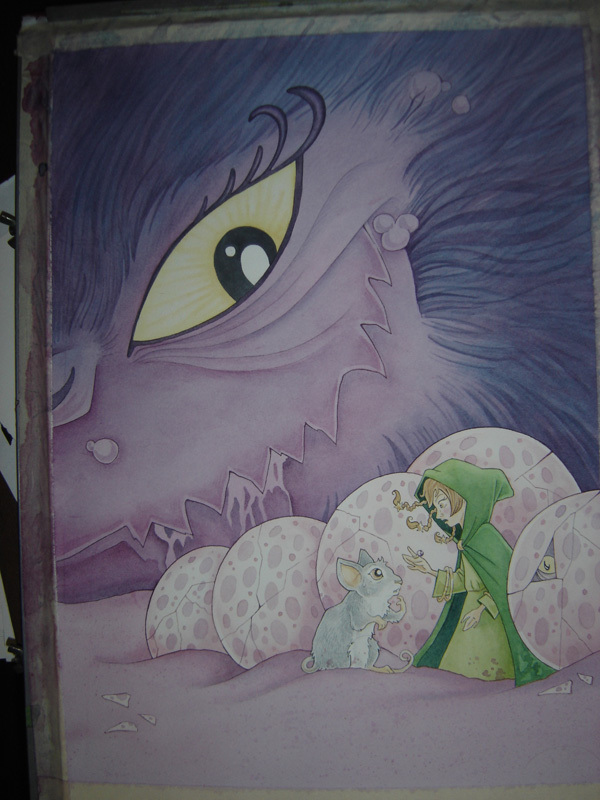 I believe this is from the scene in her book when a fairy hatches out of this magic egg. Notice the little bottle in the corner of the photo, filled with a very enchanted pink substance! This next one is Herald. He is writing a book inspired by Leviathan (and doing a fabulous job too, I might add). 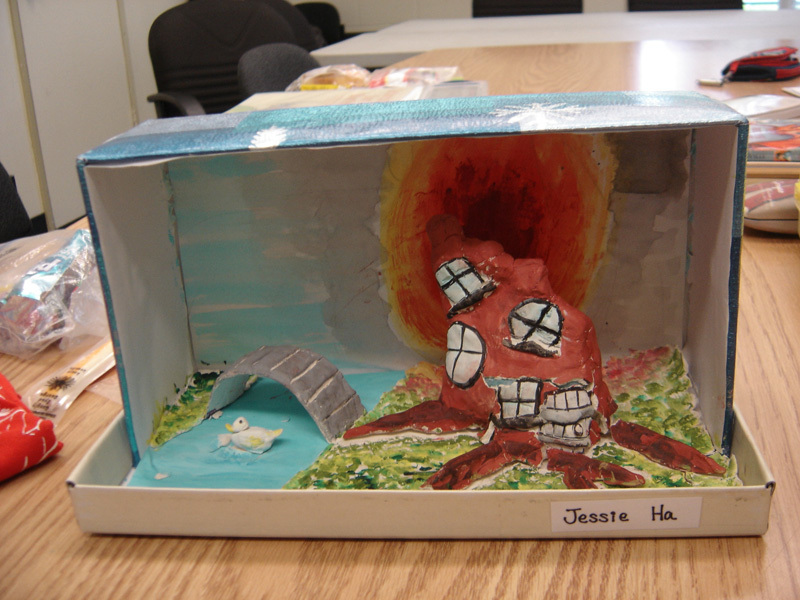 Kaeula’s diorama centers around the most important set-piece in her novel. 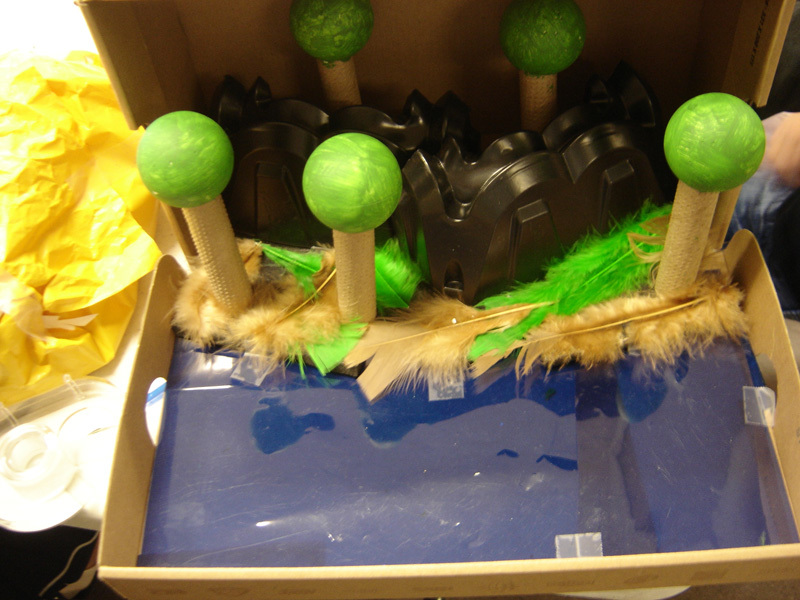 Michael found a very inventive way to construct the trees surrounding his palace. 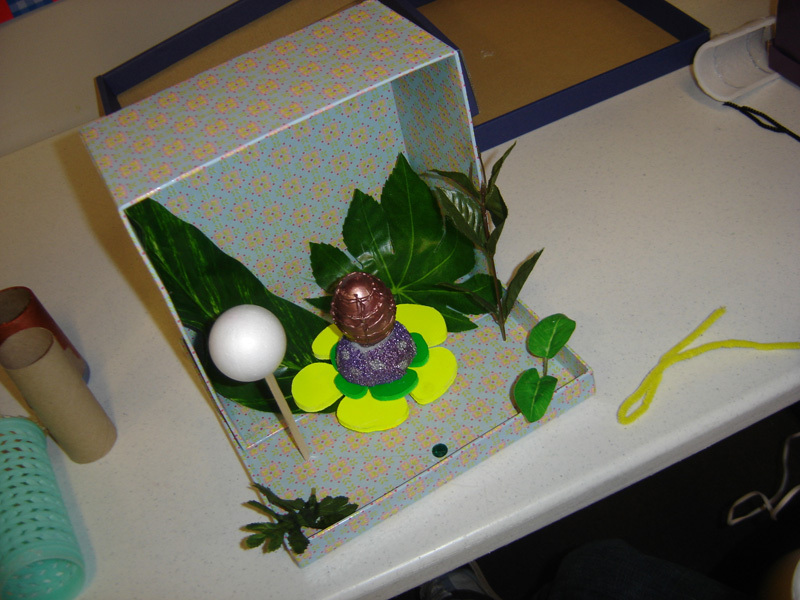 Like Esther, Sarah is using her magic egg as the focus of her diorama. So far, so good! I’m hoping that these dioramas will really help my students think about their settings and bring them to life—not only for the reader, but in their own imaginations! Crack in Kazah Cover ~ almost done! 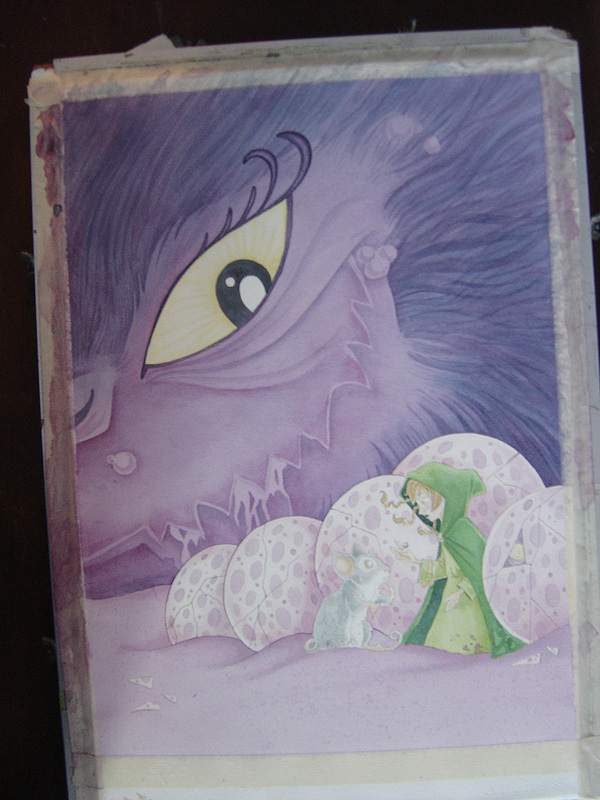 Here’s the latest photograph of my watercolour board and my illustration for the Crack in Kazah cover. The next step is to take it for professional scanning (which will do the colours much better justice than the poorly-lit photograph below). This scan will then be plopped into the cover template and combined with the title block and the other important design elements. 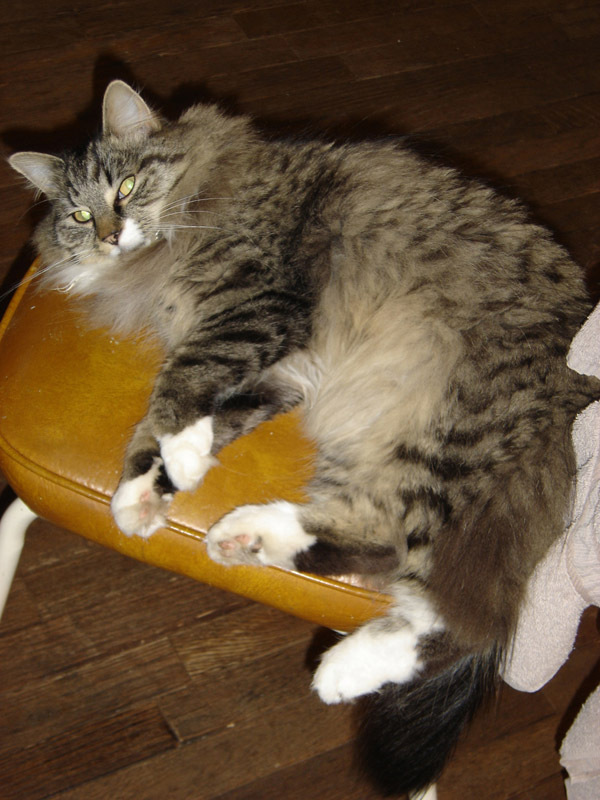 So, you think you’re a good pet owner? Last week, my class was discussing the classic book by Linda Reid Banks called I, Houdini. As part of the study discussion questions I had prepared, I asked my students to write a list of tips that they could provide for a pet. Kyumi, fourth grade whiz-kid, decided to choose dog as her pet. Now, I know many of you have dogs, so I only feel it is my obligation to provide you with this list of helpful hints. It’s a wonder how any of us survived as pet owners without this useful information. Ten tips I learned for taking care of a dog from movies, stories, books etc. Did I mention that I teach creative writing? I just had to show this picture of a diorama one of my students built of a scene from Kendra Kandlestar and the Shard from Greeve. This world-in-a-shoebox depicts the moment when Ratchet’s stump has been set on fire by the dastardly Raggart Rinkle. I just love seeing the art that comes from children reading Kendra Kandlestar. Just the other day one boy showed me a delightful little Jinx (complete with sword) made entirely from clay. How I wish I had had my camera! Of course, some of you do send me in your artwork (or pictures of it) from time to time. Keep it coming! 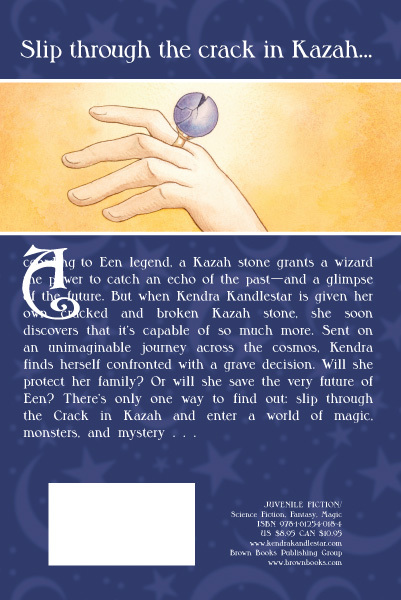 I’ve been making progress on the cover illustration for Kendra Kandlestar and the Crack in Kazah. Much to my amazement, I have yet to tear the picture from my board in frustration (something I usually do at least two or three times during the process). In any case, you can see the liquid masking tape has been removed and I’ve painted in some of the characters. They still require more detail and outlining, but I’m getting there!